Discussion in 'iPhone' started by applesnacks, Oct 4, 2013. It seems newer. I know many people wanted the 5s but then I thought about it and was like, hmm.. how would anyone know I had the new one? But there's something about the c. Not sure why it's so attractive. There's so much power in such a casual device. And of course there's the question of going shopping for 5c accessories. I'm guessing that they all have to be developed because it is the phone with the new design. how would anyone know I had the new one? You're assuming people care if you have the 5S. Why wouldn't they? I'm thinking if you want to get people talking you might as well get the phone with the new design. Does anyone think getting a case for the 5C, defeats the point of the 5C? Or am I just crazy? Hmm. 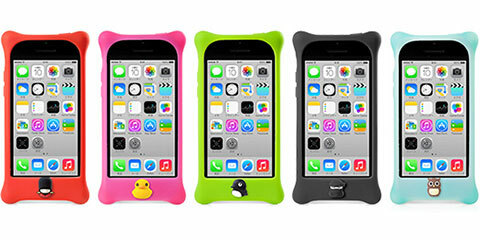 You know the 5C is the first iPhone that really does not need a case. But I mean accessories are nice for fitness. There's so much you can do with the new design. Now depending on what the case material is made of, it could be the proper choice it'd give you a break from the plastic. And if you want to go formal, the colors do give a nice flair. Anyone can tell you've got the 5C. I like to shop in the Asian markets, Japan has some REALLY cute 5c designs. Actually a lot of people with the original 1st gen iPhone, 3G/GS didn't have a case, even the 4/4S was commonly naked. I see a lot of people with a case on the 5/5S though, and I will be putting my 5S in a case as well. I agree that the 5C has a nice design. I don't think it's a better design than the 5S, but it's equally as cool looking, in a different way. It appeals to a different audience. I feel like 5C is more for outgoing, loud people. Whatever floats your boat. The 3GS doesn't need a case, in my honest opinion lol. I'm not a fashion expert when it comes to anything, including iPhone, but I like my "fashion" simple. Apple leather case works for me with the 5/5s. You know what would improve this threat? I wonder if I can put a Ferrari or a Mercedes case on my Honda Civic. So where are the japanese kawaii accessories? hell, where do you have it written in your OP. Same as above post, I expected to see some japanese accessories.. Yes, I look for shininess levels and what other people think of my phone when making purchases. It's in my pocket 90% of the time and who the **** cares what you're using? I went ahead and updated it. You have to wonder though just who is designing Apple's cases.. the "leather" one and the 5c one are quite terrible. Just a newbie Trying to promote there product. What product? I didn't mention what the cases are called. To tell you the truth though, there aren't as many 5C accessories as I'd like. Usually the case makers jump on it. Wonder what's going on this time. those cases look like they're for a 4yr old. When you get tired with the naked hardware looks of your iPhone, you freshen it and do a mini make-over with accessories. But then again... your phone is a reflection of you and that's why people use fancy cases and accessories. I mean it's not like people are thinking about it at night when they go to sleep but it's frequently a topic of conversation. These have been available for all of the other iPhones forever..